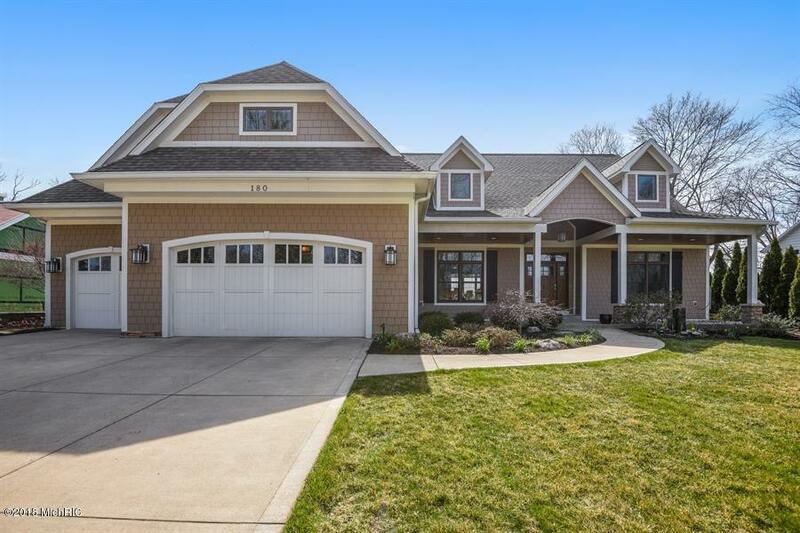 This distinctive home boasts magnificent views of Lake Michigan & Jack Nicklaus Signature Golf Course at Harbor Shores. 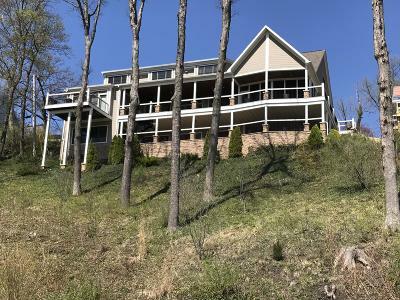 This luxury home sits on Higman Hill 1 and offers optimal lake-view living with deeded Lake Michigan Access. Open floor plan includes a gourmet kitchen with butler pantry that flows into a great room with custom built-ins, a gas fireplace, and dining areas. Features 5 bedrooms (including guest suite) with custom closets & main floor master suite. 6.2 exquisite baths, multiple living areas on all floors and over 7, 200 SF living space including the finished lower level walkout. Features stunning views, a screened in porch, study, solar assisted electrical, 2 laundry rooms, lap pool, wine cellar, workout room, steam & sauna rooms and bonus room. Exterior living is enhanced with a 2 tiered deck with lap pool and screened in porch. Exterior living is enhanced with a 2 tiered deck with lap pool and screened in porch. Nicely located minutes from Harbor Shores, St. Joseph and area amenities.